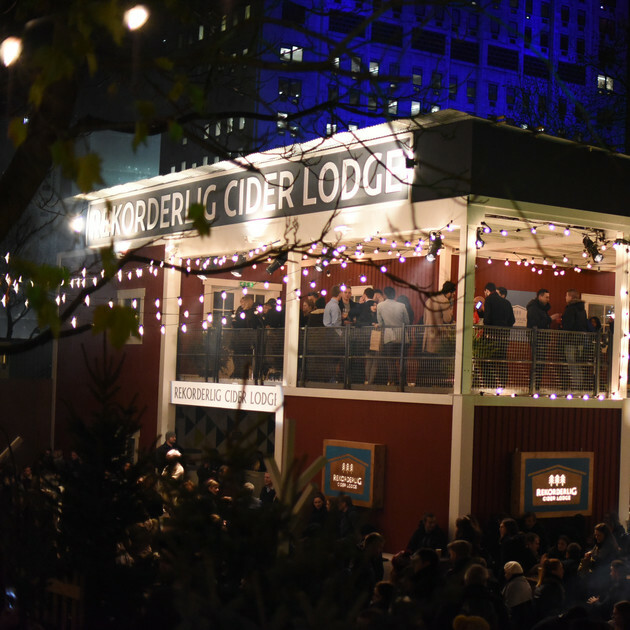 Rekorderlig has opened a pop-up winter Scandinavian Cider Lodge on the Southbank, as part of Southbank Centre's Winter Festival. Expect lots of cider, hot cocktails, swedish food and more - all in a cosy setting. Go! "Rekorderlig’s effortlessly stylish Cider Lodge returns to Southbank Centre’s Winter Festival for seasonal fun and festivities, allowing guests to immerse themselves in Scandinavian style, culture, food and drink. To celebrate the brand new cider of the season, Spiced Plum, Rekorderlig Cider invites guests to enjoy a #BeautifullySwedish experience at the lodge, where they can capture wondrous Swedish memories with an interactive photobooth, plus the new secret room gives visitors the chance to discover their own slice of Sweden once inside. Guests of the Rekorderlig Cider Lodge will discover a seasonal Swedish experience, complete with traditional fire pits and classic Swedish furniture, authentic Swedish food, hot and cold serves of Rekorderlig Spiced Plum and innovative cocktails featuring a range of different Rekorderlig flavours." The Rekorderlig Cider Lodge is closed on Sunday 25 and Saturday 31 December 2016, and open slightly later at 12pm on Sunday 1 and Monday 9 January 2017.